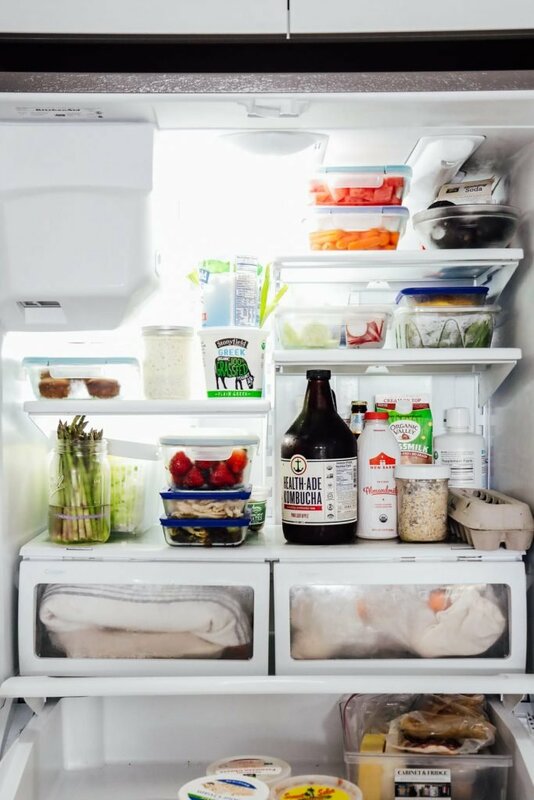 A few weeks ago, I shared my best tips for organizing real food in the fridge. 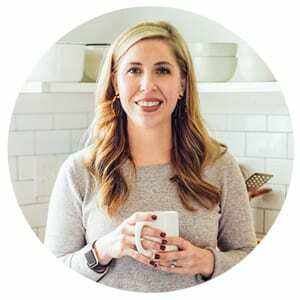 When it comes to organizing, my goal isn’t perfection. 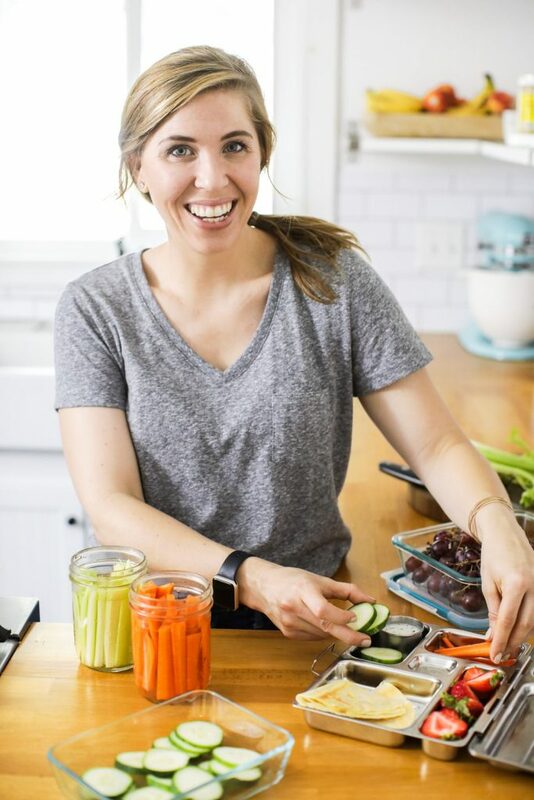 My goal is practicality and simplicity with the ultimate goal of being able to easily find food (both leftovers/meals and ingredients). Because no one has the time, patience, or money for misplaced, rotting food. 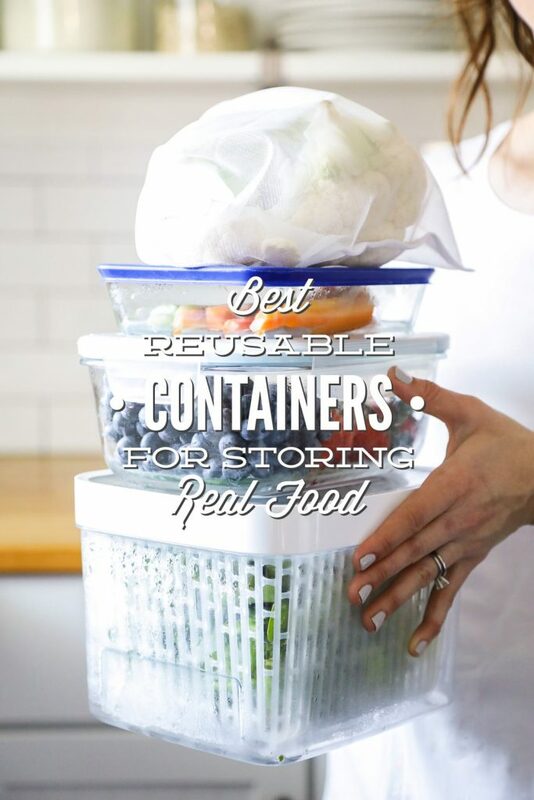 In the post, I mentioned that I’ve tried a lot of different containers for storing prepped foods and individual ingredients. Some of the containers didn’t work well for my fridge (they didn’t stack well, didn’t keep fresh ingredients well, etc. ), while others have become favorites. At this point, I have a few favorite containers that I use every single week. 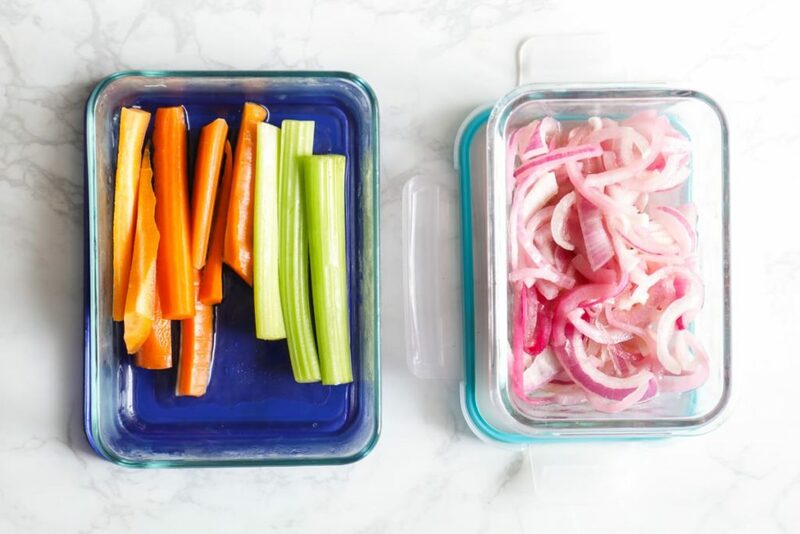 These containers house fresh produce from the market or store, make-ahead lunches and snacks, and leftovers. 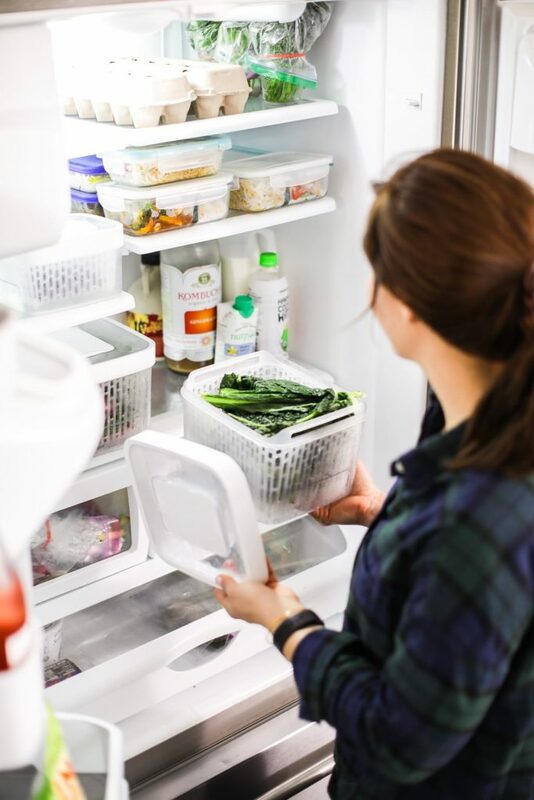 The following containers are what I consider to be the best of the best; the containers that help me organize my fridge and keep our food fresh week after week. I found these containers on Amazon last year after mourning the loss of yet another head of market lettuce. I purchased one medium-size container to start. After a few weeks of using that container, I ordered a few more. 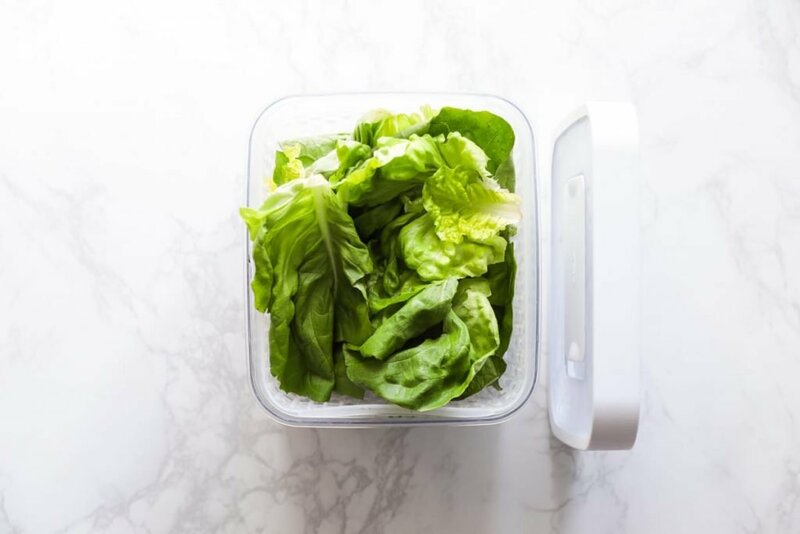 The containers work best for storing leafy greens, such as: kale, lettuce, chard, collards, and herbs. I currently have three medium bins and one small bin. These are a new addition to my fridge organization system. 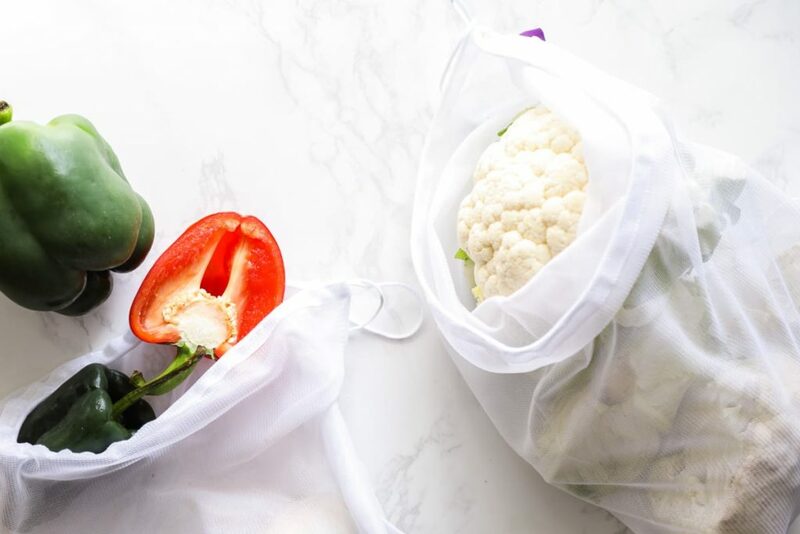 The bags are a great storage solution for loose fruits and veggies, such as: a few zucchini, heads of cauliflower and broccoli, bell peppers, apples, etc. I keep the bags in the fridge produce drawers. The bags are reusable and reusable. I prefer the cloth bags linked to above over the bags in the picture (<–after much trial and error testing). 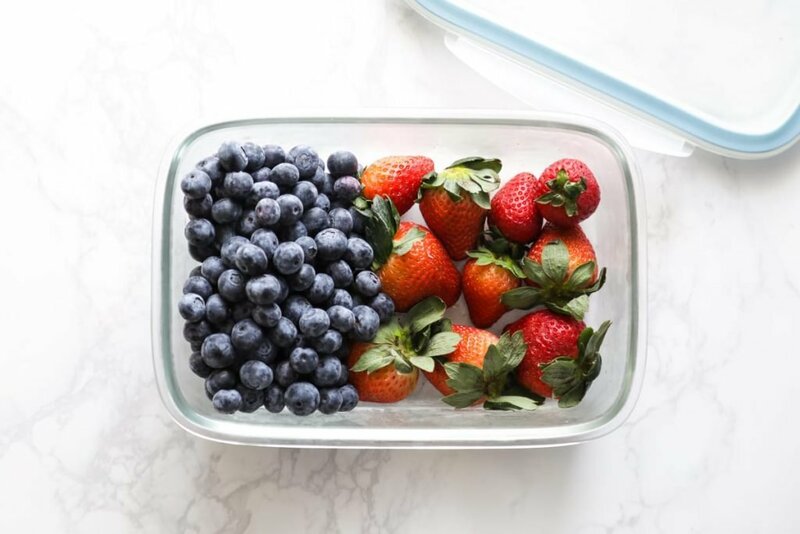 These are perfect for make-ahead foods, dips, small ingredients (such as: blueberries or raspberries), and leftovers. I purchased the 3-cup storage containers from Target. I keep one large glass storage container (OXO brand) on hand for anything that doesn’t fit in the glass storage jars mentioned above. I’ve found that one large container meets my storage needs. During strawberry season, I fill the container with fresh strawberries. Other times, I use it to store a large batch of leftover soup. 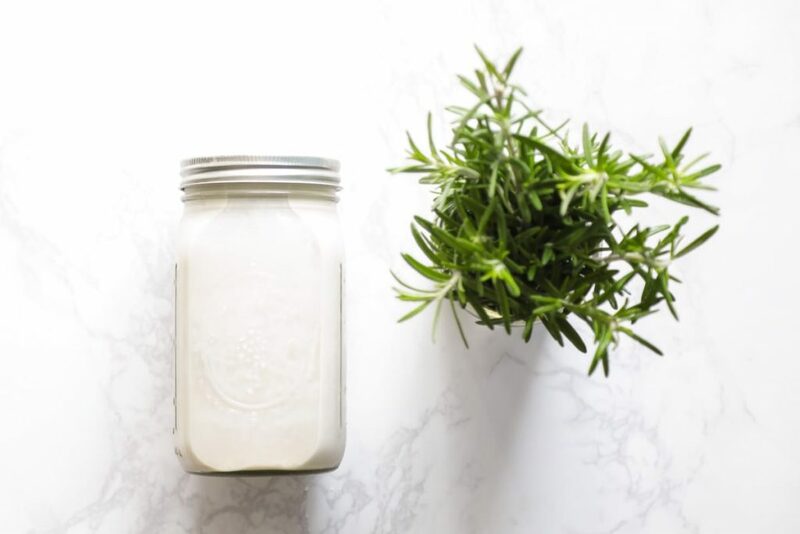 These are great for storing homemade goodies, such as: broth, salad dressing, soup, nut milk, or even small berries. I also place fresh herbs in small mason jars filled with water. The tops of the herbs are covered with plastic bags, and then secured with rubber-bands at the base of each jar. This keeps the herbs fresh for at least a week. I find these jars on Amazon and at home stores (HomeGoods, Target, etc.). I just recently purchased these containers. I’ve been using them for make-ahead (adult) lunches and leftovers that are turned into lunches (such as the stir-fry pictured above). Thanks for sharing your favorites! Wow! What a refrigerator!! ? Hey Kristin! 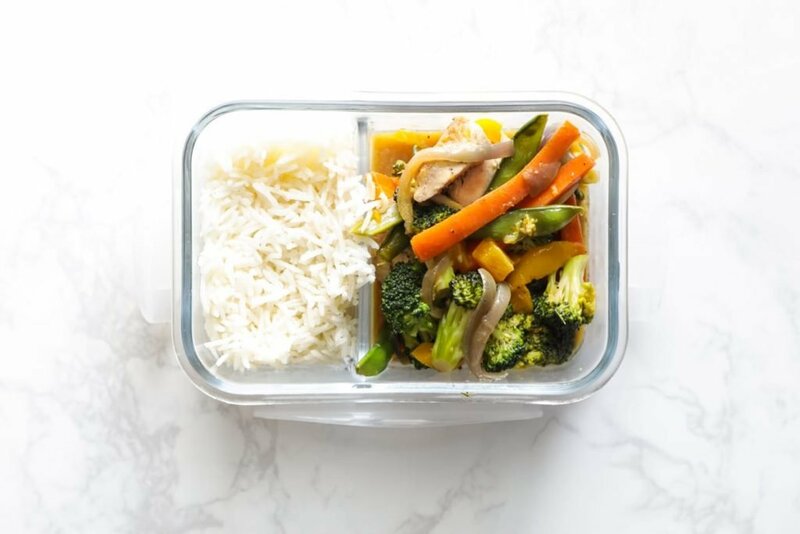 Have you ever tried the Oxo containers with veggies like broccoli or cauliflower? Hey Marla, I have and was pleased with the results. If I had more room in my fridge, I would probably own a couple more and use them for broccoli or cauliflower. These days, I have so many greens that I use the boxes just for greens and then store broccoli and cauliflower in the mesh bags (in the produce drawers). Good to know, thank you! I know what you mean! Right now my produce drawer is full of different ziploc bags of prepped kale, broccoli, etc. and I have been looking for some reusable options! Do you take the reusable produce bags to the grocery store with you when purchasing fruit/veggies? It seems like a good way to further reduce plastic entering my house. You definitely can, Heather! I haven’t done that yet, but I’ve been thinking about it. Do you rinse all the greens prior to storing them? If so, how do you dry the greens before putting them in the containers? Hey Lia, I don’t with the OXO containers. I wash them the greens as they are needed, using a salad spinner to dry them.